Above all we love music, non-mainstream music of many genres, live music up close, music for advanced audiences, who seek new and surprising experiences. At the Punctum studio in Žižkov, Prague we aim to create a space for friendly encounters with music and its creators. We strive to connect various subcultural music communities and provide space for communication and collaboration. 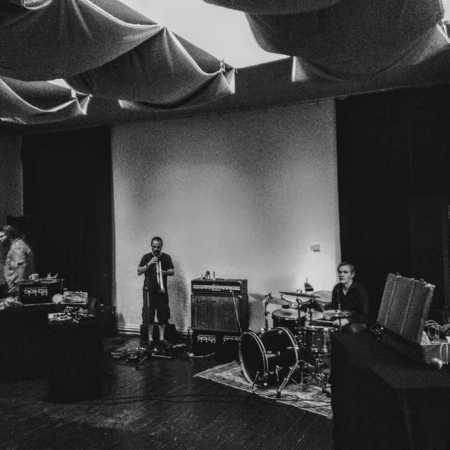 The studio boasts good acoustics and a quality in-house PA system making our live performances a unique experiences both for musicians and the audience. We however do not limit our activities to only music, we are also open to other cultural and community events such as theatre and performance, literature, visual arts or workshops. We host regular yoga exercise. Outside of our program the space is also open to renting. Our activities don’t stop at organising the space. We actively support local music scene through our internet radio Punctum, which hosts more than ten regular shows by guest DJs representing various music communities based mostly in Prague. We archive the shows and make the available at our mixcloud account. We also record all the concerts taking place at Punctum and then post them online on our vimeo account.